"Yesterday was very powerful and inspiring for me." 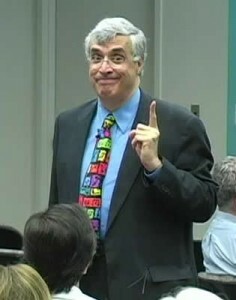 "We all loved your lecture and cannot wait to use you strategies to decrease the number of meetings we are attending." "You started quite a buzz around here." "Two colleagues of mine recently returned from the Quality Colloquium just raving about your wonderful presentation." "Excellent course with very helpful information." After discussing the needs of your organization with you, I will suggest possible structures for a seminar or ongoing consultation. To align the organization, using some concepts of “balanced scorecard,” to achieving key goals based in current vision and strategy. To liberate time for these vital tasks through data sanity. See the need to understand the two types of variation in everyday work and how to deal with them appropriately. Introduce the concept of common cause strategies as a means to manage and eliminate everyday work problems. Get a roomful of people to agree on relatively complicated data analyses within minutes. Demonstrate a powerful, simple-to-use Excel macro that creates the needed charts and analyses. An initial 2-hour session including executives will introduce the concept of “data sanity” through a lens of statistical thinking. I demonstrate that the most common data analyses and displays (data tables, bar graphs, trend lines, quartile rankings, and comparison to arbitrary goals and standards with “traffic light” systems and variance reports), although well-meaning, generally waste hours of precious executive and middle management meeting time, and result in non-value added work for the front line. I will present elegantly simple—and initially counter-intuitive—alternatives that can create deeper, more productive conversations about data issues, especially the use of common cause strategies to solve underlying, lingering everyday problems. Focusing job (and organization) improvement activity using the Pareto Principle (the startling realization the 80% of job “heartburn” is due to only 20% of work processes. Communicating with a common language to depersonalize problems, break down current barriers between departments, and unify organizational quality efforts.